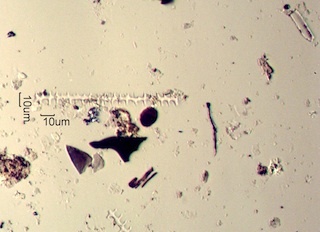 Most of these phytoliths are from environmental tapelifts collected from surfaces inside buildings. 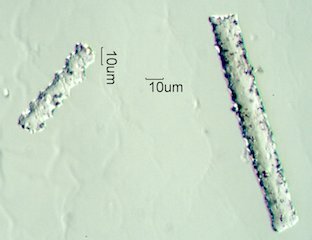 Silica phytoliths are a common particle in indoor environments, especially in the late Summer and Autumn. 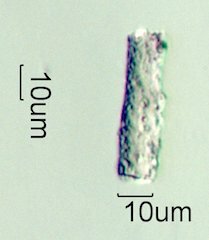 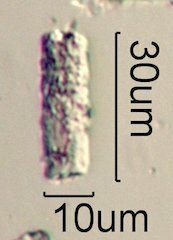 Descriptions of the phytoliths are based on the "International Code for Phytolith Nomenclature 1.0" by M. Madella, A. Alexandre, and T. Ball (2005). 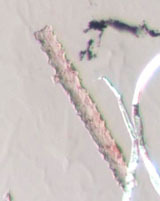 Obleque illumination was used for most of these photographs. 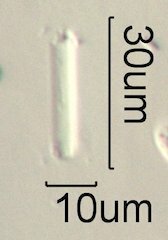 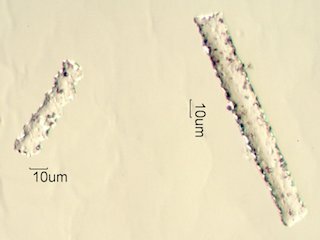 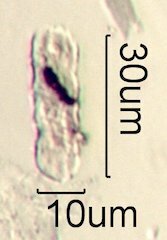 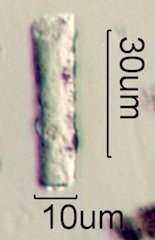 The mounting medium had a refractive index of about 1.49 so that glass fiber and phytoliths could be easily differentiated. 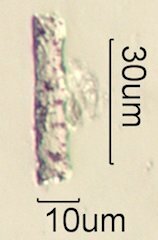 Glass fiber and most other particles will be shaded dark on the right side while silica phytoliths will be shaded on the left side.